The imposing orphanage of Aegina was initially built by Ioannis Kapodistrias to house and teach children orphaned by the 1821 War of Independence. These children had been brought to the island for their safety, but lived in poor conditions. 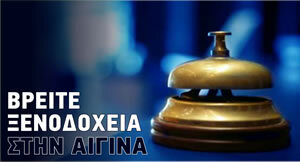 The orphanage is the grandest example of how the Governor implemented his vision for modern Greece and its people. The foundations for the building were laid down on 8 October 1828 on a piece of property donated by Aegina officials. The entire area is about 1.2 hectares in size. The construction was overseen by Theodoros Valianos and Dimitrios Stavridis, while a large portion of the cost was covered by contributions from Greeks and philhellenes from abroad and by the National Loans Fund. It was built very quickly using stones from the ancient walls and theatre of Aegina, sacrificed to save the war orphans. 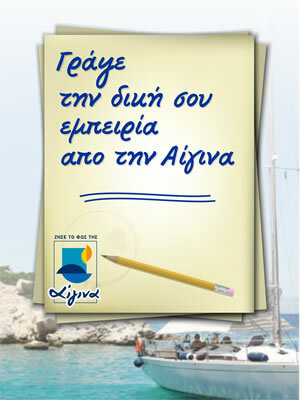 The citizens of Aegina donated an area of 5.5 hectares in front of the structure to be used as a garden by the orphanage. the National Conservatory for Choir and Orchestra. From about 1880, it was used as a prison for criminal inmates and in the 20th century for political prisoners (of the civil war and junta) until 1984. Subsequently, it was used to house the wildlife hospital pilot programme (EKPAZ), which has now acquired its own newly built facilities on the island using European funding. 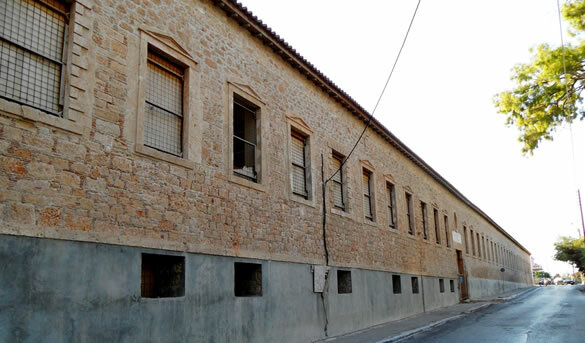 The Orphanage (usually referred to as the "fylakes" [prison]) is currently under the purview of the Ministry of Culture, which has undertaken to restore it using European funds and to establish the Aegina Diachronic Museum of History and Civilisation.